Sweet. Tangy. Perfection. 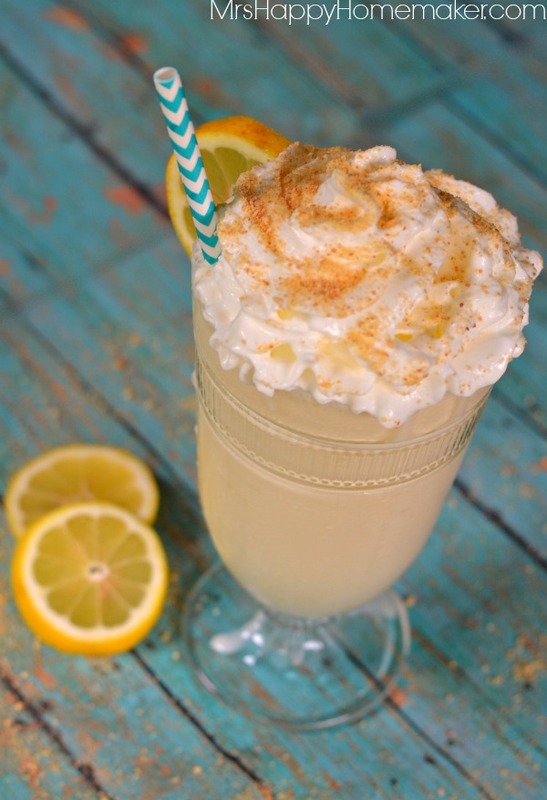 That’s what these simple 3 ingredient Lemon Pie Milkshakes are. When I was a little girl, my Daddy would often take me to get the best milkshakes… at the oddest place for the best milkshakes. A rinky dink gas station/bait store in the middle of nowhere. The middle of nowhere being Staley, NC. He’d say, ‘Runt, wanna go get a Staley milkshake?‘ and before he could finish his sentence, I was halfway to the car. Once you got past the whole bait & tackle fish smell the place had going on – they really did have the best milkshakes. In the back corner, they had all this homemade ice cream behind a glass case – and they’d blend up whatever flavor milkshake you wanted right there. Daddy would always go for a basic strawberry milkshake, but me – I’d choose a different flavor each time we went. Then, we’d go sit inside of his 1976 Dodge Aspen, complete with racing stripes, and just sip away at our ‘Staley Milkshakes’. 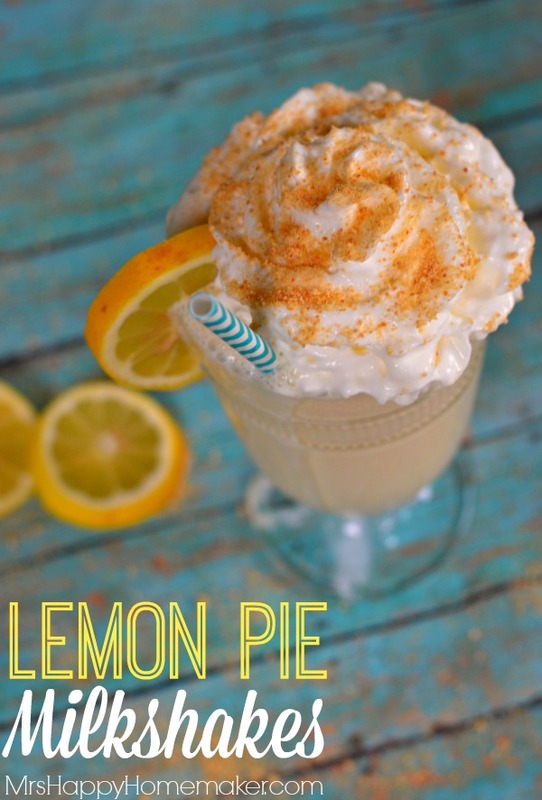 I’m still really experimental when it comes to milkshakes too – so when I came across the idea to make a Lemon Pie Milkshake, I was intrigued. And for good reason too because these little suckers are delicious! It gets better too…. 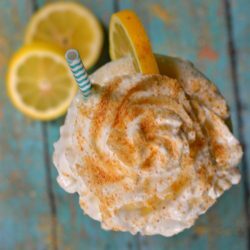 you only need 3 ingredients! All you do is combine it all together in a blender & serve. 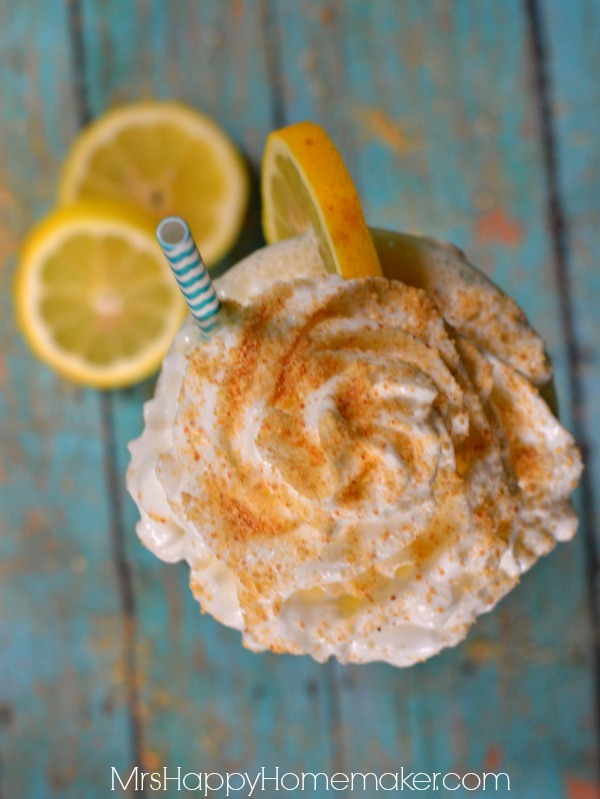 You can garnish with whipped cream, graham cracker crumbs, and/or lemon slices if you like. 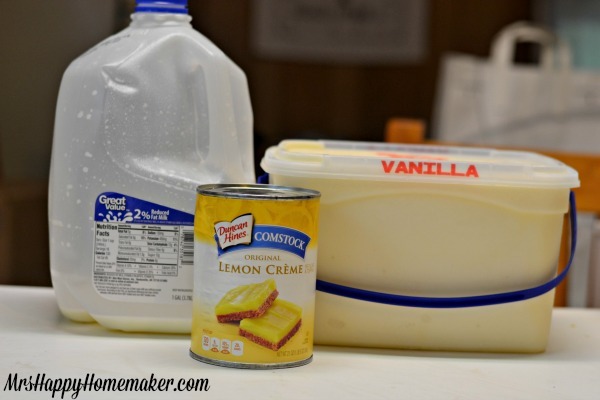 Combine the ice cream,milk, & lemon pie filling in a blender until smooth. Garnish as desired. Serve immediately.